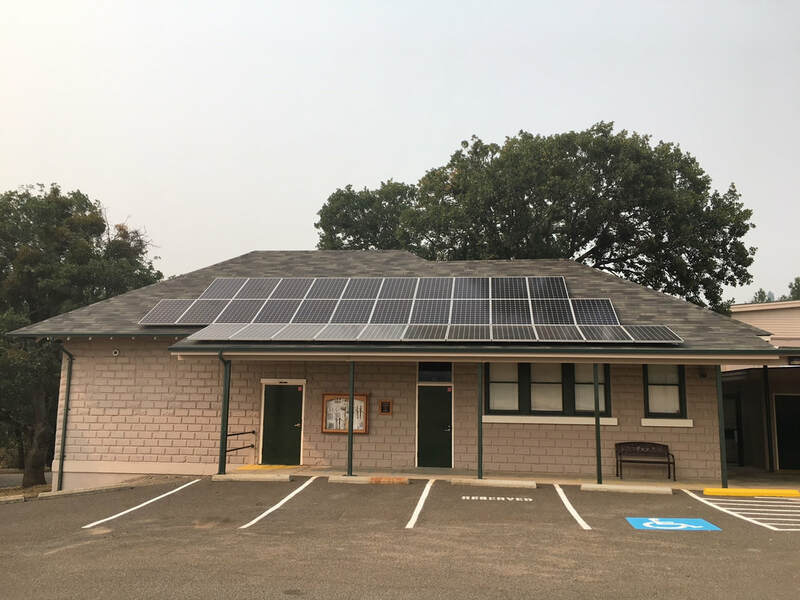 ﻿In partnership with the Medford School District, Ruch Outdoor Community School is implementing a solar energy curriculum as one part of a global climate change unit. Since adopting a conservation policy, the Medford School District has reduced energy consumption by 19%. Our district was even featured in two case study videos by the Energy Trust of Oregon! ​Watch them here and here. ​In the summer of 2018, Ruch Outdoor Community School became the first public school in the county to boast a solar installation. The project is due to a $24 thousand grant from Pacific Power Blue Sky Fund. The 33 panel, 11.4 kW photovoltaic (PV) system on the school’s roof will generate 15,483 kilowatt hours annually, saving the district roughly two-thousand dollars annually in energy costs. The project will include an online kiosk to display site energy generation and usage, which the school will incorporate into its STEM (science, technology, engineering, and math) curriculum.